Let me tell you about the next stage of medical evolution for Painful Legs, Bones, Joints and Feet – High-Frequency Ultra Sound Healing – it is the medicine of the future and believe me the future has truly arrived. So, what is High-Frequency Energy Healing? Let’s start with what we now know, that everything is Energy…. We are composed of energy and the entire universe is made of energy. We are energy in motion; meaning, our energy is always moving within us at different vibration levels between our various organs and systems. The rate of speed at which our energy vibrates is what we call Frequency. We can’t see our energy in motion because it vibrates extremely fast and we have a limited neurological system. A limited neurological system means that we can only perceive with our eyes, very low vibrations. For example, did you know that a movie is not a continuous image; but rather a series of slides passing by at a rate of 48 per second? This means its vibrational rate is 48. So, let’s move on, our bodies are composed of tissue. The tissue is composed of cells. Cells are composed of molecules. molecules are composed of atoms. Atoms are electrons going around a nucleolus; just as planets go around the sun. Electrons vibrate at millions per second; therefore, how can we possibly see electrons vibrate at this rate of speed if we can’t even see 48 vibrations per second. Just imagine everything we cannot see that exists in this space. Did you know the distance between an electron and its nucleolus is the same as the distance between the earth and the sun in scale? This means 99.99% is empty space to our eyes; however, there is energy in this space. We are, therefore, energy in constant change. We are much more than just our physical body… Our physical body is just one of the components of what we are. We also have an emotional, mental and spiritual body made of energy. These energy bodies are composed of higher frequencies; therefore, you can’t see them. They live in the 99.99% space we cannot see – well not with our physical eyes anyway. These bodies form what we know, amongst other names, as the Auric Field and directly affect our physical body. So, we put all this information together, and what is obvious to our personal health? 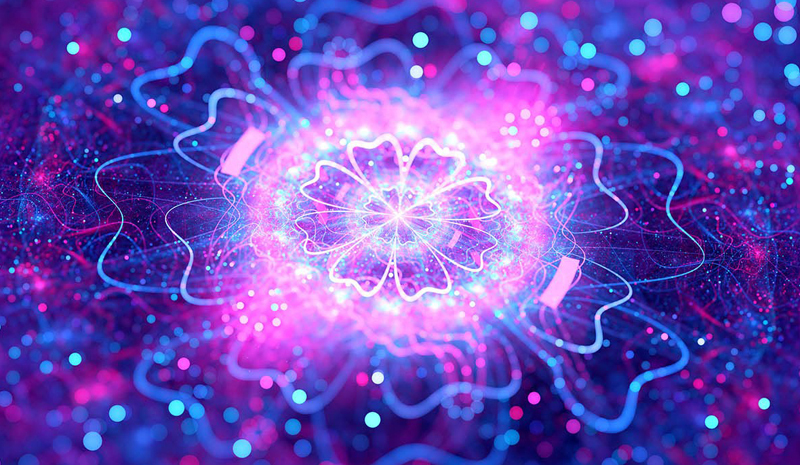 Every organ and system in our body is vibrating at a healthy vibration. As soon as our systems lower their vibration because of external harmful factors like our drinking water, stress or food, we allow viruses and bacteria to enter our systems and start to set up home. Your body then starts warning you that everything is not well – maybe a pain in your leg, or a headache, or a stomach pain, or an allergy appears. So, what do you do? Hide the symptoms with tablets or take action yourself and get your frequency back up again, which in turn will kill the virus or bacteria. This is a no-brainer. Science, through ultrasound therapy, has now given us the solution to all our health problems.